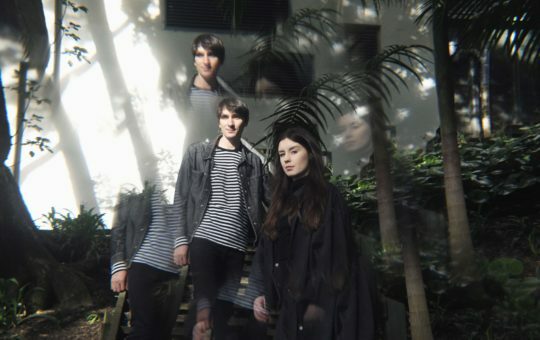 Physical are Wellington, New Zealand based duo Julia (Black City Lights), and Nik (Junica, Over the Atlantic). They met while visiting New York in 2013 and found themselves in a Chinatown karaoke bar to the soundtrack of ‘Drive’ by The Cars. In 2015, Nik approached Julia to write together as a contribution to his project Ghostwriters Collective. 12 months and 8 tracks later, they had written and recorded an unapologetically upbeat yet dramatic pop record – ‘Ride it Out’. Their debut album is about emotional survival and staying up late; a shout out to their deep mutual love for future R&B and synth pop and heavily influenced by musical heroes like Banks and Dev Hynes. "It’s the best kind of bedroom pop – revealing but elusive, moody but upbeat, atmospheric but still something you will want to sing loudly in the car. " "Physical takes you from the extreme ups and downs of your emotions, but never in-between – these two are certainly not half-assers. "